My dad has carried the same leather brief case since the early 1980s, it's full of stains and scuffs and water marks that just add to its veteran patina. The imperfections have yielded the perfect briefcase and an irreplaceable part of his style. Los Angeles-based stylist, author, and designer Agnes Baddoo has a similar story. 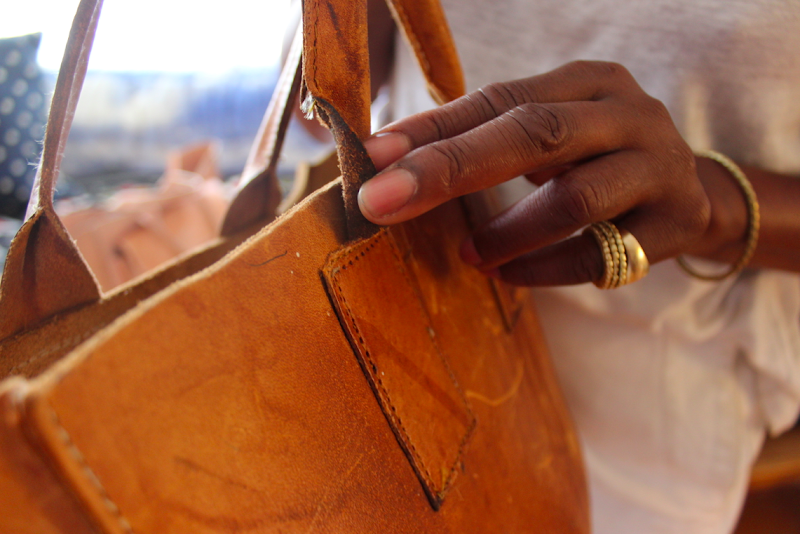 She inherited her mother's small leather tote bag that has been worn to perfection over 40 years. As it started to wear beyond repair she didn't know where to turn to replace it. Like many designers, Agnes started creating something she wanted for herself that couldn't be found anywhere else. 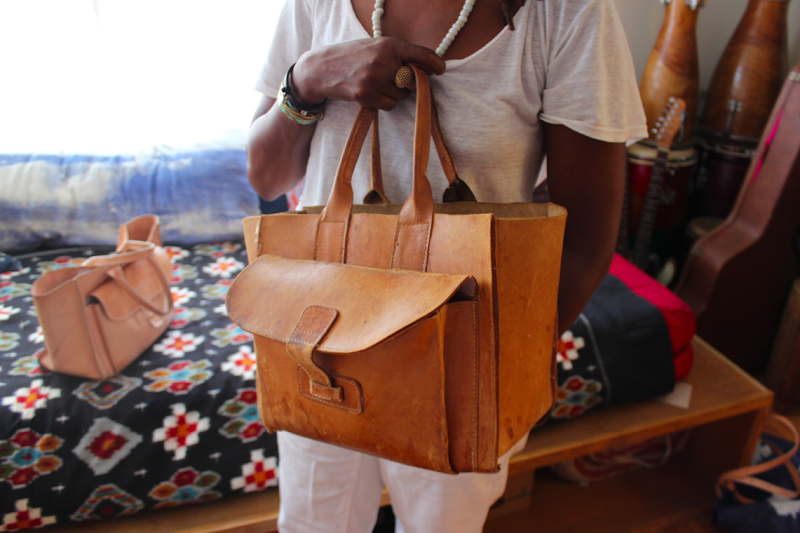 So Agnes, who also makes the very popular Everyw'air room sprays, used her mother's bag as a blueprint and launched her eponymous leather label. The first iteration is a replica of her mother's bag called Sac 1 ($300), it's carried online at Priscilla Woolworth and will be available soon through Agnes' site as well. I saw Agnes' leather bags for the first time at the last Echo Park Craft Fair where I watched both men and women fawning over them. The next time I saw one it was on the arm of shoe designer Beatrice Valenzuela in the women's room at The Arclight Movie Theater. In other words, these bags are about to blow up. In the near future there will be an Agnes Baddoo key wallet, a canvas-leather combination of the Sac 1, buffalo leather versions in brown and black, as well as the much larger Sac 2 (see below). I love these bags so much and can't want to see mine age and morph over months, years, and decades into that buttery irreplacable item that becomes part of my style identity. They are stunning. So honest in their design. I wonder if I should buy the big one or the smaller one. Such a perfect design and they just get better as they age. Love that your dad has had his bag since the 80s - setting a perfect example! Perfect design. I would love to get my hands on one of these! Our full grain leather shoes (hand made in NY) do the same thing. High quality leather ages beautifully! I have one very much like this that my dad picked up at a market in Kenya. It is one of my most prized possessions. They really are beautiful bags. Great design. On my wishlist. 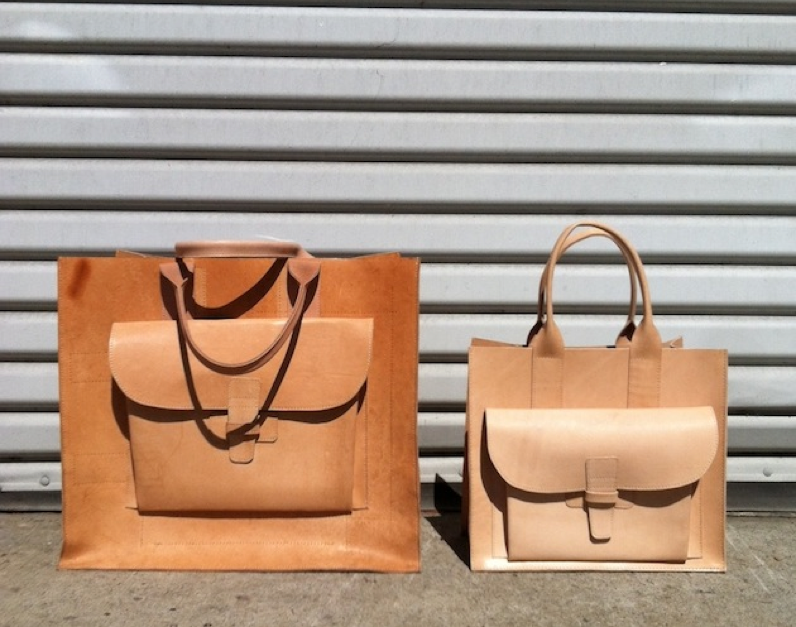 It looks like American Apparel has made a complete knock-off of this beautiful bag - so horrible. Agnes' bags are beautiful and of her own design, definitely will be supporting her and not supporting AA's cheap knockoff. Thank you for the post! everything's better with a patina. great bags! THIS. I exclusively carry an old leather satchel that my mom gifted me years ago, I've had to re-sew and fix the strap numerous times but it only gets more beautiful with each passing season. wow, these are gorgeous and such troopers to stand the test of time!! While I agree the bag is wonderful and I loathe AA as much as the next conscious person, the statement by anonymous that "Agnes' bags are beautiful and of her own design" is a little disingenuous. 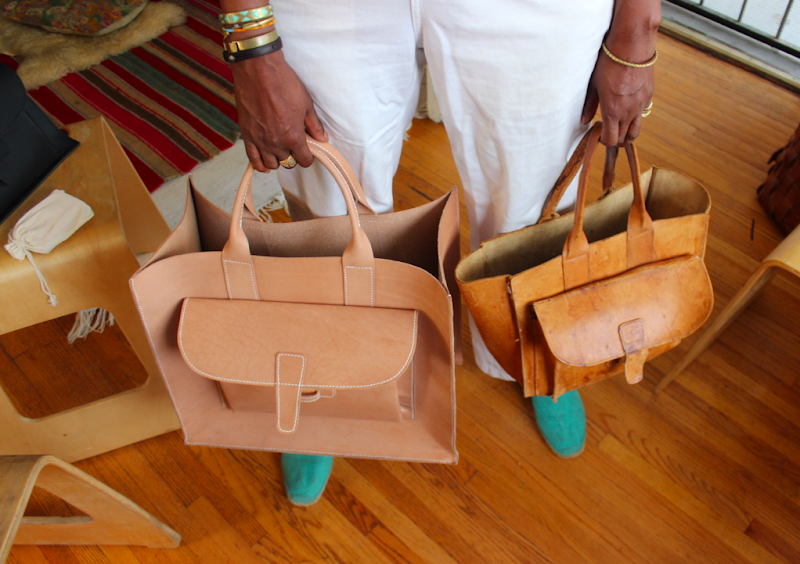 She clearly copied the style from her mother's bag--she even photographed them side by side. It's a great design no matter who created it originally, and AA's designer has just as much right to copy it as anyone. And for many consumers $100 is a make-or-break amount for a bag. Buy Handmade Leather Crossbody Bag, designer women handbag, leather crossbody messenger bag and many more ladies handbags online from High on Leather. Huge range, best prices.